In 2019, we continue promoting new initiatives within the Equipment Awareness and Conservation Plan (PCC). In order to do so, on February 27th we gathered in a workshop our more experienced and skillful staff in the use and maintenance of GSE equipment. 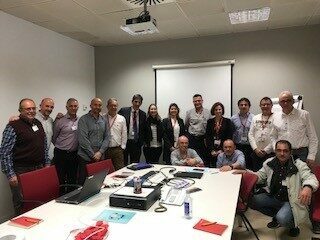 As stated by María Ángeles Rubio Alfayate, our Director of Airport Services and Development: “with these workshops we want to continue promoting a ” greener handling”, being more efficient, impulsing our Safety culture and, of course, a closer communication with employees”. We ended the venue thanking all of them for participating and making our ground handling more efficient every day!